Varicose veins affect 25% to 33% of women and 10% to 20% of men. Veins contain valves that open and close to help return of blood back to the heart. When valves are diseased, damaged or sometimes absent, venous reflux develops and blood return becomes abnormally slow. 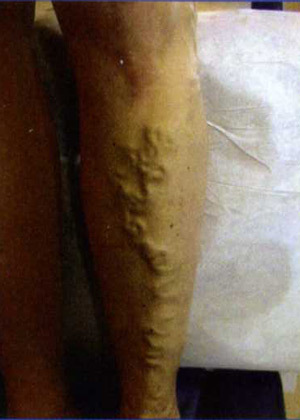 Leg veins become distended, i.e varicose. Spider veins are similar to varicose veins, but they are smaller. They are often red or blue and are closer to the surface of the skin than varicose veins. Spider veins may or may not be the result of leaking valves. If they are, venous reflux in the deeper veins must be corrected first. Here at Vein Clinic of New York we know that varicose and spider veins, while considered by many to be a purely cosmetic problem, can be a source of significant physical and emotional discomfort. Addressing vein related problems earlier will not only relief the discomfort and improve appearance of your legs, but also will help to prevent many of the chronic complications. have large varicose veins, chronic swelling and discomfort in the legs, tired and “heavy” legs, spider veins, bluish or brownish discoloration of the skin. We can help. work standing or sitting down for prolonged periods of time. If you are a hairdresser, a teacher, a cashier or a sales associate, a nurse or a medical or surgical health care provider, you might be at risk or already suffering from vein disorders. We can help to alleviate your discomfort or recommend appropriate preventive measures. Have several blood related family members with venous disorders, you might be at increased risk for developing varicose veins and other vein related problems as well. We can help by offering early diagnosis and treatment. Are or recently been pregnant. 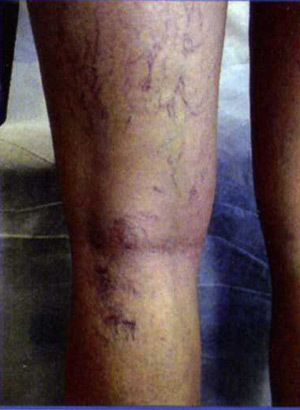 Pregnancy often exacerbates symptoms of varicose veins that might persist even after delivery. We can help to manage the discomfort during pregnancy and improve appearance of your legs post partum.